By partnering with building trades students from Bethlehem Area Vocational Technical School (BAVTS), we are able to bring the message of inclusion to additional young adults who help us share it with others. The students have improved the frame design to be lighter for permanent mounting, designed easels that will allow paintings to be temporarily displayed whenever necessary, and helped with delivery of the paintings to schools. In 2014, The SkillsUSA Community Service Team presented their work and won first place in Pennsylvania State Competition and finished third at Nationals! 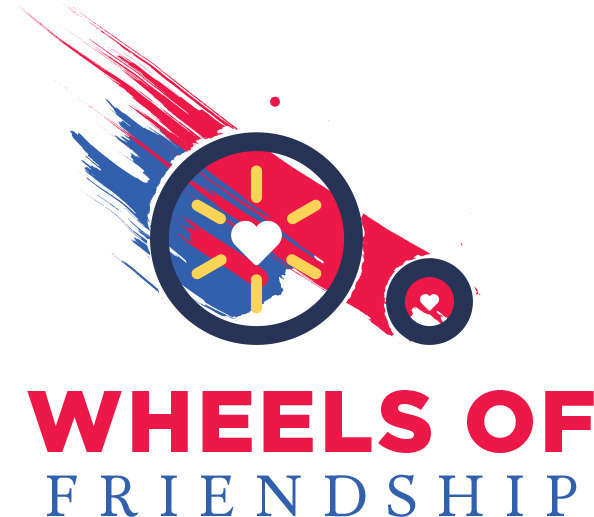 Our heartfelt thanks to these sponsors who sponsor Wheels of Friendship programs for kids across Lehigh Valley. And to Capital Blue for funding the creation of half-size canvas reproductions of every project to date.